Strawberries are a summer favorite because they are at the peak of ripeness. They make a light and refreshing addition to a salad, too! 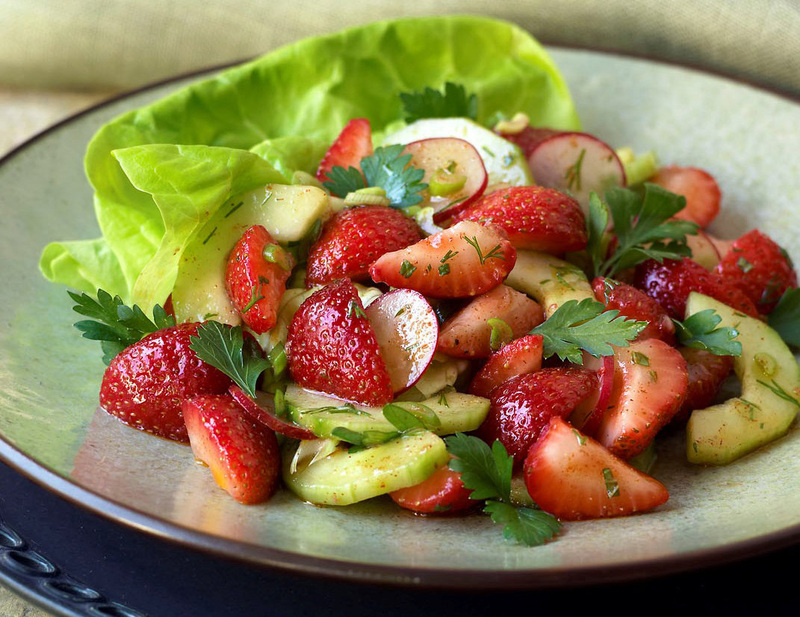 Try this recipe for a yummy Strawberry & Cucumber Summer Salad. and pepper to taste. You can also add fresh dill, fresh mint, ground cumin, or sweet paprika to taste. Allow to marinate for at least 10 minutes. « Cool Off with a Frozen Strawberry Treat! Is the strawberry and cucumber summer salad a P2 or P3 recipe? And if so, how many strawberries are used in the recipe and vinaigrette dressing? This can be used on P2. The bottom of the recipe states that it counts as 1 vegetable, 1 fruit serving. Take your allotted strawberry serving and pull one out for use in the dressing. Slice the rest for the salad.